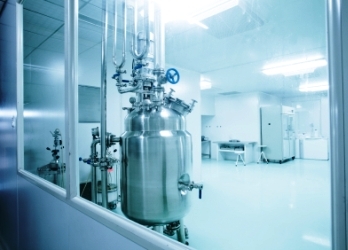 A 13,500 ft3 pharmaceutical production suite consisting of various production and processing equipment was decontaminated with chlorine dioxide gas after a contamination was discovered. Even after thorough cleaning and liquid decontamination, a persistent salmonella problem could not be eradicated. ClorDiSys was able to fumigate the facility utilizing chlorine dioxide gas and eliminate the organisms while providing sporicidal kill of Biological Indicators (comprised of bacillus atrophaeus spores) placed throughout the facility to ensure the process was successful. 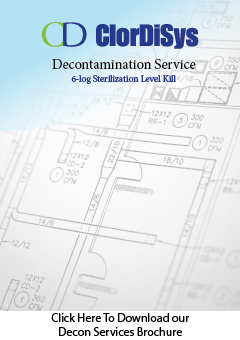 An HIV and Hepatitis research facility totaling 345,300 ft3 across multiple floors was decontaminated with chlorine dioxide gas during the decommissioning of the facility prior to its renovation. 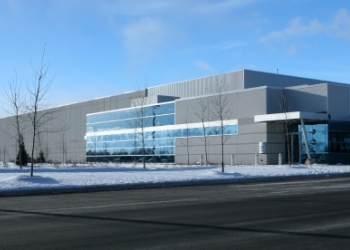 ClorDiSys was able to fumigate the facility utilizing chlorine dioxide gas and provide a 6-log sporicidal kill of Biological Indicators (comprised of Bacillus atrophaeus spores) placed throughout the facility to ensure the process was successful and that the facility was safe for future use. A 31,000 ft3 laboratory within a beta lactam manufacturing facility was treated with chlorine dioxide gas to inactivate the various beta lactams found within the lab prior to its renovation. 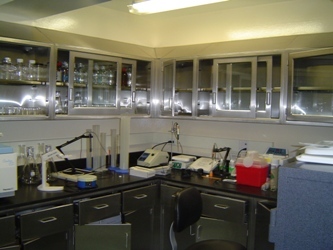 Chlorine dioxide gas was used due to its ability to reach all surfaces and allow for the safe renovation and reuse of the laboratory and its equipment afterward. An HVAC system handling a BSL-2 and BSL-3 HIV and Hepatitis C research laboratory was decontaminated with chlorine dioxide gas prior to its renovation. This allowed for the renovation crew to work in a safe environment without having to wear personal protective equipment (PPE) while performing renovation work. This allowed for a quicker and more cost-effective renovation of the space. 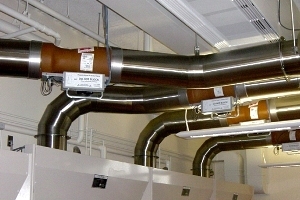 Chlorine dioxide gas was used due to its ability to reach all surfaces and distribute throughout the entire length of ductwork without condensing or leaving a residue. 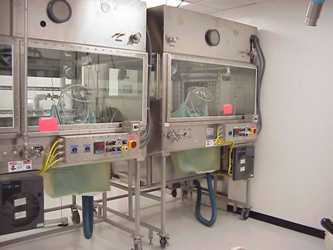 Rooms and processing equipment can be decontaminated with chlorine dioxide gas prior to use or on a routine basis. Chlorine dioxide gas can also be used in contamination response to eliminate any contamination present and quickly return rooms and equipment back to production readiness. 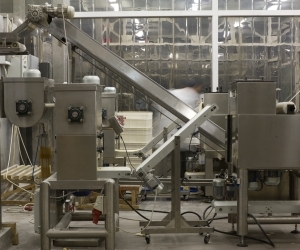 Typically all equipment in a food production facility is compatible with chlorine dioxide gas. By using a gas, all surfaces including cracks and crevices are contacted, allowing for the complete decontamination of millions of cubic feet of volume. 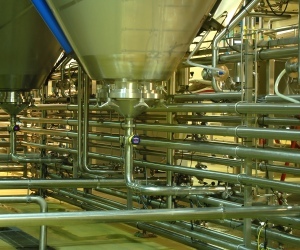 Piping and vessels can be decontaminated with chlorine dioxide gas prior to use or on a routine basis to ensure sterility of the products inside. Chlorine dioxide gas can also be used in contamination response to eliminate any contamination present. This can replace steam and harsh chemicals saving time and reducing costs.